After several months, Monday, I finally saw my granddaughter Joy. She has graduated from high school, lost 20 lbs, and turned 18 since the last time I saw her. I meant to take a photo of her while she was here, but forgot. Below is a photo she posted on Facebook of her and her boyfriend dressed for the Senior Prom held in May. I have not met him but he looks like quite a character. Joy was grumpy from not having eaten her lunch, so I fed her while she was here, and she even had some of Aunt Marge’s Sugar Cookies I had baked. I felt like a successful grandmother when Joy told me she liked the cookies very much, and we then discussed cooking tips and strategies for making crisp cookies. My new Joy of Cooking cookbook had just arrived so I gave Joy my very old copy which had its original worn with age and flaking cover. She was thrilled to get it. With great sadness, this morning, I read Nora Ephron had died of AML or Acute Myeloid Leukemia. Having undergone a series of tests for CML or Chronic Myelogenous Leukemia myself, I know far too much about this disease. I feel as if I knew Nora from her books, plays and other writing. For a while, Nora was married to Carl Bernstein (he of Watergate fame) and they lived in Washington DC. Because I had worked in the city, I heard and read the gossip circulating around town, and I strongly identified with the book Nora later wrote about her cheating spouse, entitled Heartburn. She wrote a screen play based on the book, later made into a movie starring Meryl Streep. Like many other women in my generation, I fell in love with Ephron’s screen plays and subsequent films Sleepless in Seattle, and When Harry met Sally as well as New York City (although the former is shot in Balitmore and Seattle…but I love cities, period). 5/ on pleasure trips to attend plays and visit museums, galleries and tea houses. I love New York City. In the 1980s, I was asked to transfer with my corporation to a job which would have placed me in an office at 195 Broadway or the World Trade Towers (around the block from 195 Broadway) where the Bell System had two floors of offices. Had I accepted this job, I probably would have lived in New Jersey within viewing distance of the city, but I was fearful of such huge change, and my youngest son, the only child living with me at the time, did not want to make the move so we stayed here in the DC area. Reading the lovely tribute to Nora published in the New York Times today, I discovered that Rob Reiner’s mom, Carole is the woman in the diner with Harry and Sally who says, “I’ll have what she’s having.” There was a time when I would have had what Ephron had, at least as far as living in New York City and being a working girl, but I lacked the courage to make the move. 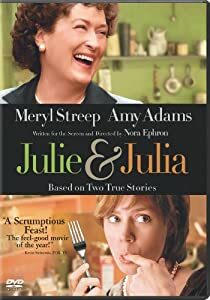 Ephron wrote the screen play for Julie and Julia. Which takes me back to the Joy of Cooking. Pick up this cook book and you will discover Julia Child’s imprimatur. How could I possibly fail?? 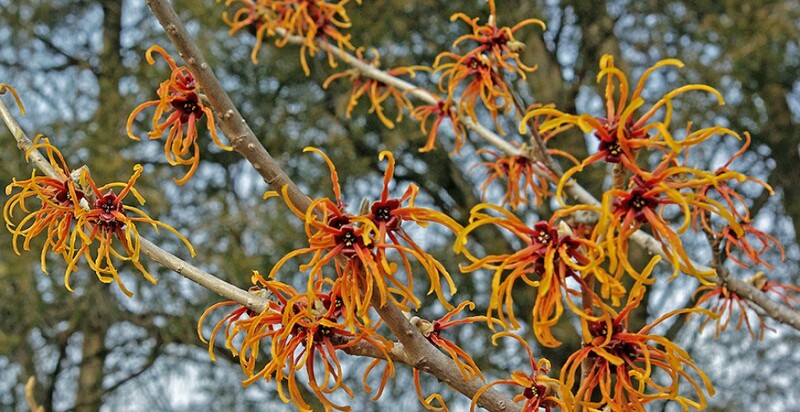 This entry was posted in Elder Blogger, Film and Television, Health/Medical Stuff, Memories, Shopping, Women, Writing by SchmidleysScribblins. Bookmark the permalink. Your granddaughter is absolutely gorgeous even with the face she’s making and I LOVE her dress! Nora Ephron’s movies are wonderful and I loved them all. She will be missed. I did not know that Nora wrote books, I’ll look for them. My first Joy of Cooking was a wedding present – in 1967, so I bet some of the recipes have changed…or at least have been updated. But then at the time I only read the cookbook my mother gave me called “La Cuisine Familiale” and also the cook-book “La Cuisine pour tous” but it took forever to translate the metric system into the US one. Yes, I too resonate with her writings. Just reading about her very private death truly saddened me. Cooking…. I liked the Julia movie better than the book. My new Joy is a joy. Try the Lemon rosemary skewered chicken. G found me a first edition French Cooking. I used to love it. I became aware of Nora Ephron with her book “I Feel Bad About My Neck.” It was then I realized that I had been enjoying her work for years. Such a delightful talent. She will be missed. Yes, that is one of her classic essays. Fortunately for us, she wrote many more and some of them are in a collection of her works with the same title. There are several collections in Kindle format if you are interested. I have loved Nora ever since Heartburn. She is a sad loss. 1. I lived in NYC while attending Columbia and working as a legal secretary during the 1970s. 2. I own a copy of The Joy of Cooking and have used it many times. 3. I read Nora Ephron’s essays and memoir on my Kindle. I think I will re-read them now. I haven’t visited NYC since 1997 nor Boston and DC since 1987. Would love to see the east coast again someday. If that happens, I will treat you to lunch! I love Boston also. Beautiful city. You have a date. Plenty of places for a nice lunch around here.